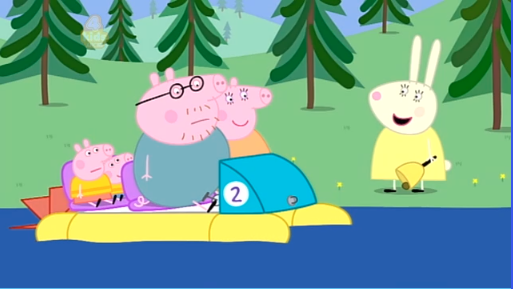 After reading Piers Akerman’s opinion piece today in which he accuses Peppa Pig of being a piece of “Left-wing propaganda” which “pushes a weird feminist line that would be closer to the hearts of Labor’s Handbag Hit Squad than the pre-school audience it is aimed at”, I decided to do my own investigation. 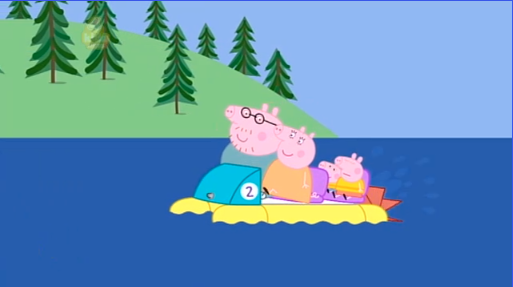 Far from confirming Piers’ findings, I was shocked to discover that Peppa Pig is actually selling blatant right–wing conservative propaganda. The ABC needs to do something about this immediately. 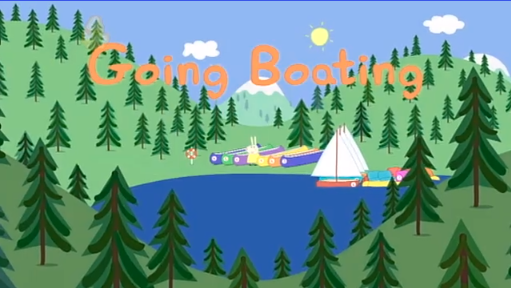 I chose an episode at random to analyse, the most recent on the ABC website – ‘Going Boating’. A subtle reference to the Coalition’s ‘stop the boats’ policy perhaps? My first horrible inkling that something was not right was the seating arrangement in the paddle-o (a small boat powered by foot pedal. Note: depicted as the slowest of the boat options – clearly pandering to big oil companies). The male pig, “Daddy Pig”, is the pig put in charge. You’re the engine Daddy Pig. This is a clear message to the children of Australia – men power the world, women are just along for the ride. That’s right. Men are strong and not allowed to be vulnerable and women rely on these men. 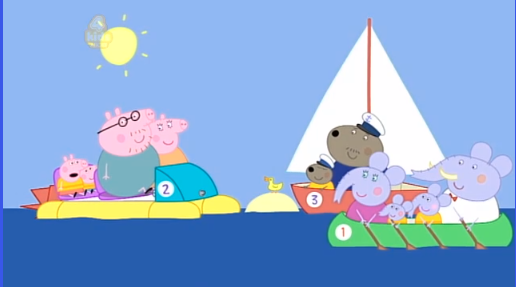 The Peppa Pig party and some of their friends in other boats then arrive at their picnic destination, an island. Unfortunately the island isn’t big enough. The image of the boats clustered around the island with a comical duck perched on top for humorous effect is a clear mockery of climate science. And there we have the right-wing agenda. Don’t worry about global warming, industry will save us. Don’t worry about the environment because “we can eat our sandwiches on the boat”. On the way back from the Island of Insult the three families decide to have a race. This is used as an opportunity to further the conservative conspiracy aimed at oppressing women. 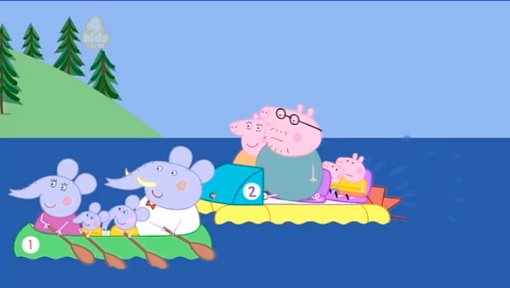 Daddy Pig gets a bit tired on the way back to the shore. 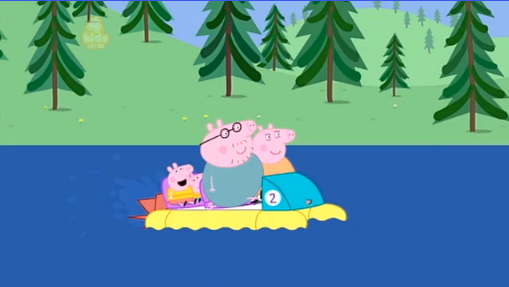 Mummy Pig finally has an opportunity to steer the boat, to show her own power and independence. This of course leads to an almost instant failure, pushing forward once again the agenda that women should not try to do “men’s work”. The result: Mummy Pig loses the race. Not only are women encouraged to remain in domestic servitude, men are discouraged from taking on their share. His son Danny points out that he was supposed to be fulfilling his role as a father. Danny Dog says: “but you said you were going to stay home”. 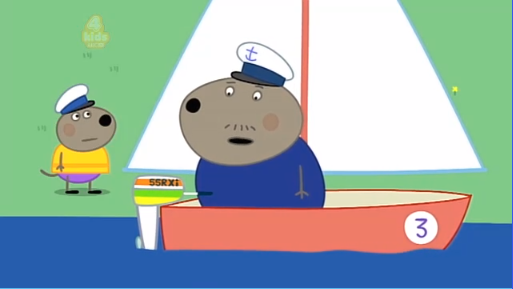 Captain Dog appears to be a single father. Domesticity is shown to be a burden for him, a man, in a scene where his child crushes his career aspirations. What sort of this message send to young boys? Captain Dog sadly agrees to stay home with his son. Message: you need a wife for these sort of things. It’s clear from this careful analysis of Peppa Pig that the ABC is pushing a strong right wing agenda. They’ve gone a step too far this time though, they’re trying to brainwash our young children, our toddlers. The ABC needs to do something now to end this conservative conspiracy and protect the future of our proud nation. I’m looking at you Mark Scott. Laughed a lot with this piece. Very cleaver. But there is a minor problem here: Cap. Dog isn’t a single dad. 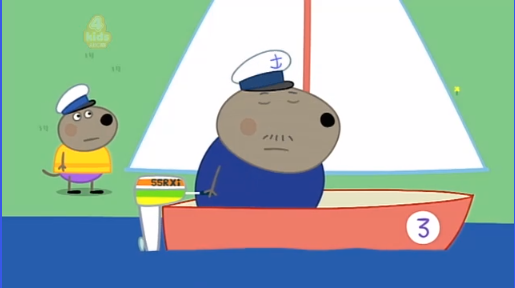 He has a wife, but he abandoned both her and his son Danny Dog to sail across the world. There are a lot of episodes that suggest Cap. Dog resents being a father and would rather be travelling. He must be constantly remembered by Danny that he promised to never step on a boat again. 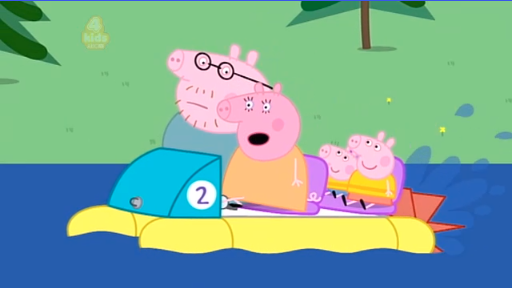 My wife and I wonder why the only child of color in Peppa’s group has problems with his daddy always trying to escape from the parental responsibility.